We all love organic products and prefer that all the products that we apply to ourselves are as much organic as possible, including makeup. But how do the products that we eat or drink affect our inner and outer beauty? 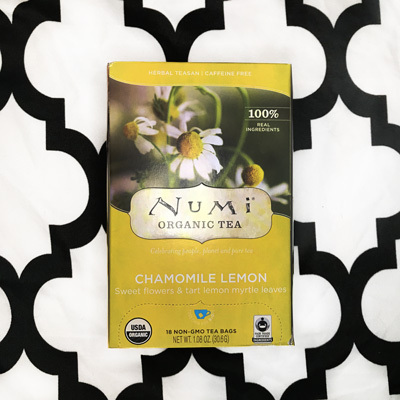 Most of your beauty products have ingredients like chamomile, lemon, green tea extract, honey, jasmine, so today, we decided to test and review organic teas from Numi Tea and see how it tastes and affect our beauty. 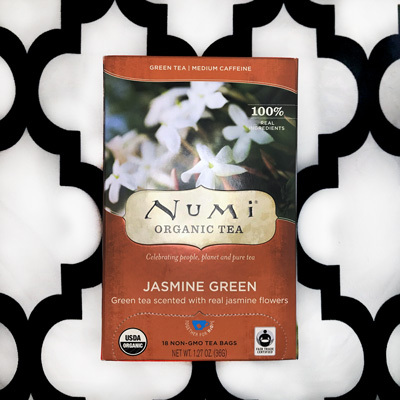 Numi offers a variety of loose leaf, flowering, and bag teas. 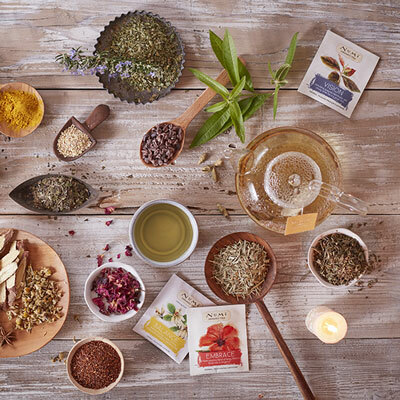 For our review, we chose turmeric for its antioxidant and anti-inflammatory effects, Pu-Erh for antioxidant and toning effects, jasmine for hydrating effects, Yunnan tea as well as sets with a variety of flavors and flowering tea. Some of the teas were picked as they are often to see as ingredients in our cosmetic products, others, because of their exotic flavors and effects. 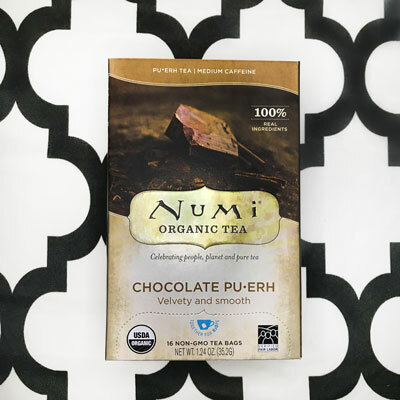 The Chocolate Pu-Erh Tea is a blend of black Pu-Erh and Organic Cocoa, accented with orange peel, spices, and vanilla bean. The tea has an unusual flavor of strong black tea, cocoa, and spices, which makes it a unique flavor. Pu-Erh is rich in antioxidants and contains vitamin C, E, B12 and great for anti-aging and weight-loss. This tea does not need a special occasion and can be consumed any time of the day, as well as in the evening as it’s not high in caffeine. The tea comes in bags or as loose leaves, after using you may apply tea-bag to rinse your face, to see the result use it daily during two weeks. Turmeric as an element helps to get a natural glow, has anti-inflammatory effects, helps with acne and even helps to heal psoriasis. 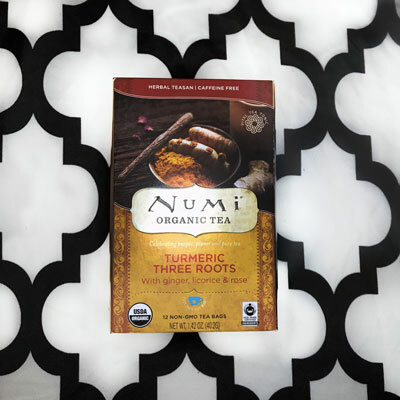 The Turmeric Three Roots Tea is a blend of three roots – turmeric, ginger, and licorice, the best description of the taste is ‘exotic spice market’ as its stated on the site. This tea has no caffeine and is great to drink any time of the day. In addition, it brings mental clarity and calms down, so tea is great for inner beauty as well as for outer. The Jasmine Green Tea is a mix of jasmine flowers and jasmine tea leaves, that add a great fragrance to the tea. The jasmine can be found as an ingredient in many cosmetic products like hand cream, lotion, face mask etc. and it helps to reduce dryness, keep moisture levels and adds elasticity to the skin. This is a light soothing tea, great for mornings and afternoons and it is medium in caffeine. This tea can be used to cook your favorite Jasmine Rice! MyTopFace Hack: make jasmine tea and freeze in the ice tray so it makes cubes. Apply to your face skin after cleansing and toning. Its help minimize pores and soothe skin, this is a great procedure especially in the morning. You can see the result after 3-4 weeks, but don’t forget about facials every month (depending on your skin needs). Chamomile Lemon is a beautiful blend of Egyptian chamomile and Australian lemon. This is a great mix of citrus flavors and calming chamomile blossom that has no caffeine and is a great brew to enjoy before going to sleep. The Yunnan Tea comes from a Yunnan Province of China, some of the oldest Yunnan tea trees are over 1,500 years. The tea was used as a medicine, remedy as well as just a drink for a very long time and it has proven its effects and its way from Asia to the rest of the world. The Chinese Breakfast Yunnan Tea is great for weight loss and is a cholesterol reducer, it has a malty flavor with floral notes and comes in bags or as a loose leaf. The tea is high in caffeine and is great as a morning drink, those who like can add milk or lemon. Flowering Tea is a beautiful way to enjoy your hot drink. While steeping green bud expands its leaves opening up a nice flower on top of it. The flowering tea is a hand-sewn tea-leafs that is prepared for a little show in your tea-pot or a glass. We got Numi Organic Flowering Tea Set with the Starlight Rose, Dragon Lily, Lavender Dream, Sunset Oolong and Golden Jasmine. The last set we tested is the Holistic Teasan Variety Bundle that consists of six different teas: Embrace, Balance, Vision, Purpose, Gratitude, Presence. Balance tea – is a mix of carefully balanced flavors – lemon, chamomile, marshmallow root, moringa, and astragalus. It has a nice citrusy scent and brings balance and harmony to your day. Embrace Tea – is a flower tea that made of mixed rose, hibiscus, chamomile, lavender and has a nice floral aroma. It soothes, calms warms your heart. Gratitude Tea – is a mix of herbs: Tulsi, licorice, ashwagandha, roots: turmeric, maca, and flowers: chamomile. This tea taste reminds of an apple with spices and it has no caffeine. Presence Tea – has a lemongrass and touch of spearmint allowing you to cool and still your mind. The bamboo and blueberry leaf promotes calm and clarity. The tea has citrusy mint with a touch of grassy flavors. Purpose Tea – is an energizing blend of cacao, yerba mate, rooibos, ginger and dashes of cardamom, coriander and black pepper. This is a great morning tea to energize you through the day with a cocoa and spices flavor. Vision Tea – the blend of verbena, guayusa, rosemary, and cinnamon brings clarity to your mind. This tea has juicy, citrusy and woodsy flavor. The MyTopFace team has stopped drinking soda and other high sodium and sugar drinks during 2 week period and agreed to only get tea, organic juice, and water. 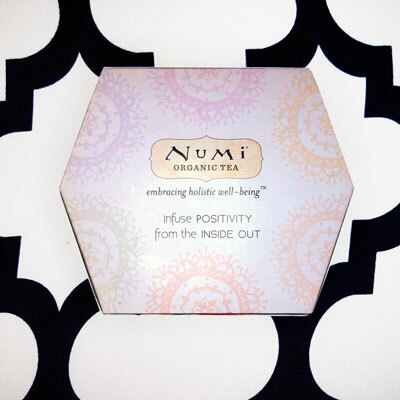 Not everyone in the team could do it, but as a result – drinking at least one cup of Numi Tea brought great changes! Skin became brighter, elastic and glowing, our team members reported feeling healthy, stronger, happy and focused. 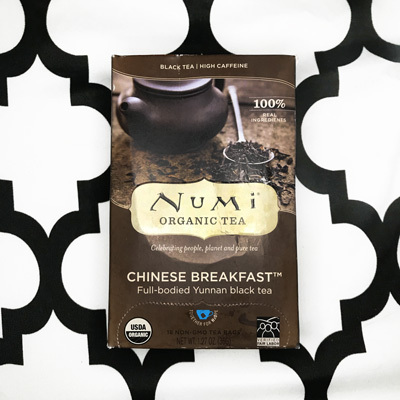 We are extremely happy with Numi Tea and their unusual, exotic teas!